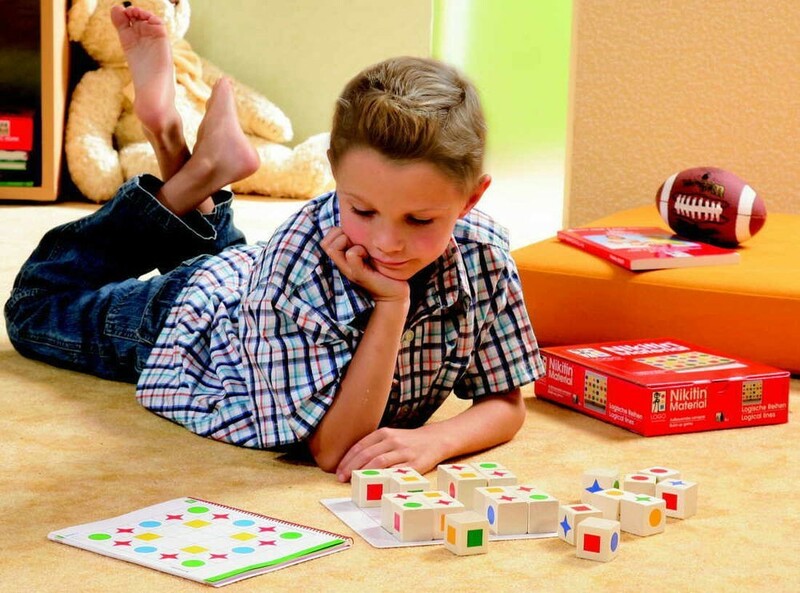 Playfully, form, color distinction, perception, concentration and character recognition are practiced. 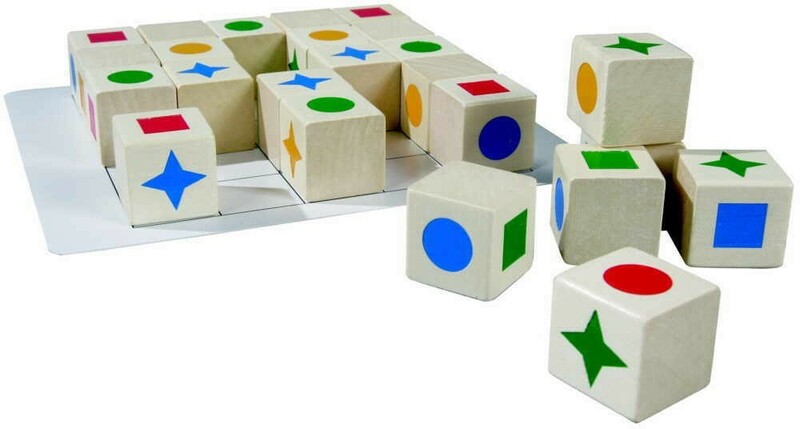 The 24 multi-colored blocks must be reconstructed according to simple to complex examples. Step by step the difficulty level is increased. Children should be challenged - especially with perception, concentration and creativity. 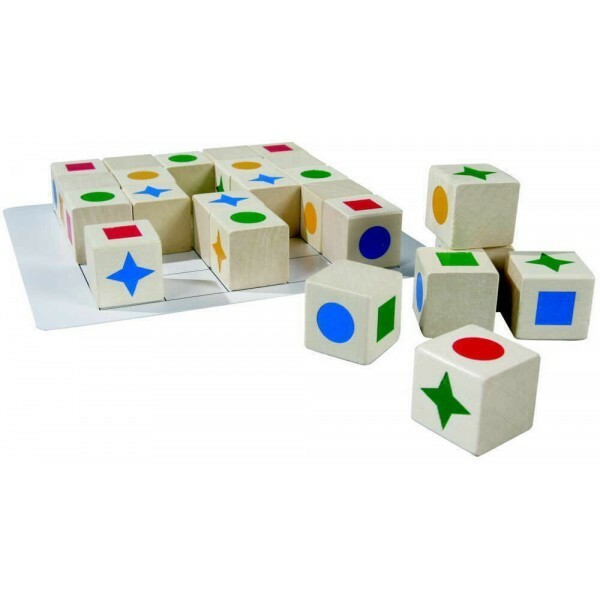 With these 16 wooden blocks with different colored surfaces, color and shape recognition, but learning to combine with each other, is developed in a playful manner. In this way the easy example forms are first made and color rows are completed. At the end complete examples are given that can be reconstructed with the colored building blocks.